Made from glass and brass with bronze plating. 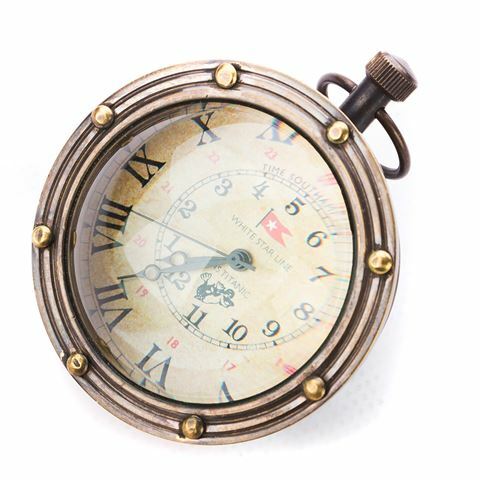 Features 24-hour time intervals on the inside of the clock face. Compass face includes degrees along the border. Dimensions: 6.2cm (l) x 8.5cm (h) x 5cm (w).